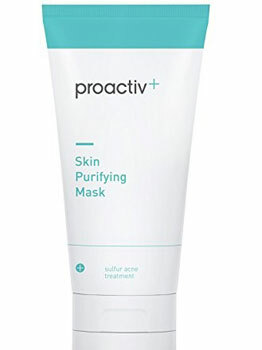 Proactiv, one of the world's leading acne brands with over 20 million users, has today announced the launch of the Proactiv Skin Purifying Mask into the Australian pharmacy market. The Proactiv Skin Purifying Mask is a weekly cleansing mask with 6 per cent sulfur to help clear pores, blemishes and help prevent new breakouts. Adult-acne is difficult to manage, especially for those who were clear-skinned teenagers. Hitting your 20s, and beginning your professional career, can be stressful enough without having to worry about acne impacting your confidence as well. Women don't have time for bad skin, and the Proactiv Skin Purifying Mask provides visible results, so you can take every opportunity in life without worrying about your skin. Dermatologist Dr. Andrea Tomizawa comments, "Using a mask weekly is the perfect addition to your regular routine, especially a mask that contains sulfur, which helps with reducing oil. It will ensure that breakouts are kept at bay, and help with unblocking pores and removing impurities" The Proactiv Skin Purifying Mask works to produce visible results so that acne sufferers can enjoy new-found glamour and celebrate being blemish free. Review: The Proactiv Skin Purifying Mask has been formulated for particularly oily and acne prone skin; I predominantly have an oily t-zone so I used a very thin layer, of the mask, on this specific location along with using the product as a spot treatment. After using the mask I saw immediate clearness and a reduction in oil and as I continued using the mask, weekly, I found that my t-zone pores are unblocked and less visible. As a spot treatment the Proactiv Skin Purifying Mask is amazing – I use a cotton bud to apply the mask directly to the spot at night and when I wake in the morning the spot is barely visible – only one application is required, #miracle. As a mask: Apply to dampened skin, leave on for 10 minutes and rinse off with warm water. Can be used up to two to three times a week. As a spot treatment: Dab onto affected area and leave on overnight. In the morning, rinse off with warm water. Can be used up to three times a week. Availability: Chemist Warehouse and My Chemist, Priceline and Priceline Pharmacy and Terry White Chemmart stores nationwide. Question: What ingredients are in the new Proactiv Skin Purifying Mask? Question: What are the main benefits of the Proactiv Skin Purifying Mask? How can the Proactiv Skin Purifying Mask reduce acne? 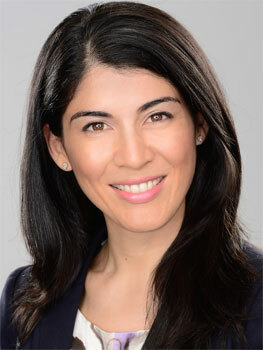 Dr Andrea Tomizawa: It helps to clear pores, blemishes and help prevent new breakouts. The Proactiv Skin Purifying Mask works to produce visible results so that acne sufferers can enjoy new-found glamour and celebrate being blemish free. Question: How has Proactiv changed, recently? 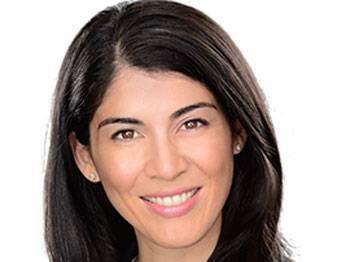 Dr Andrea Tomizawa: Moving away from the subscription model it once was, Proactiv is now available in Pharmacies and Myer Australia wide, so more women can access the dermatologically tested products. Question: Why is it important that we add a face mask to our beauty routine? Proactiv: A face mask can be an effective addition to your weekly skin routine, to help deliver important ingredients to the skin surface to help reduce inflammation, infection, and oil production. This in turn can prevent the development of pimples in people with acne-prone skin. Ingredients that provide a deep-cleansing action to facial skin may cause unwanted irritation and excessive dryness if applied every day to facial skin. So an easy-to-use face mask can help to deliver these key ingredients and cut down on to promote skin renewal and restore the natural skin barrier. Question: How often should we be using face masks? Proactiv: Every person's skin is unique, so how often you apply a face mask depends on your skin type. For patients with oily skin, a deep-cleansing sulfur-based face mask can be applied up to three times a week. For patients with a dry or combination skin, once a week may be sufficient to provide the benefits and avoid unwanted irritation.